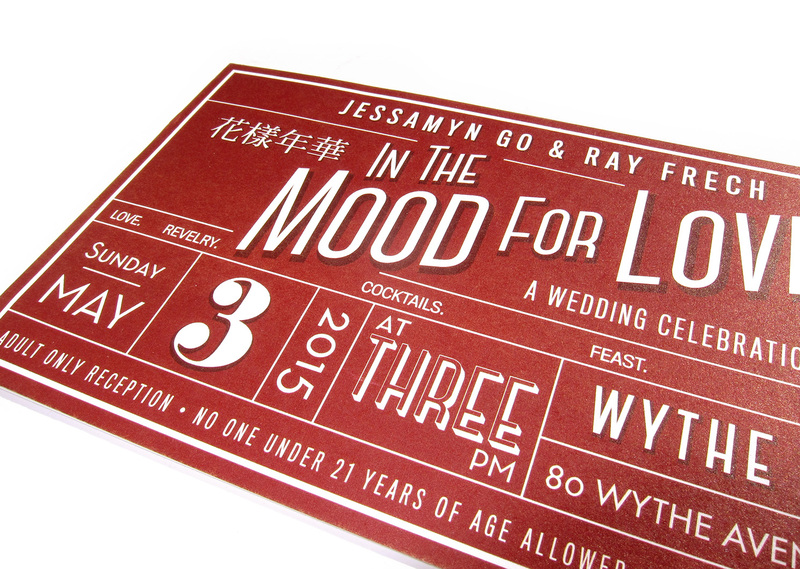 Without a theme to the wedding, the invitation for Ray and Jessie’s wedding was pretty open for a design of its own. They wanted to pay homage to one of their favorite movies, In the Mood for Love, a Hong Kong noir film. 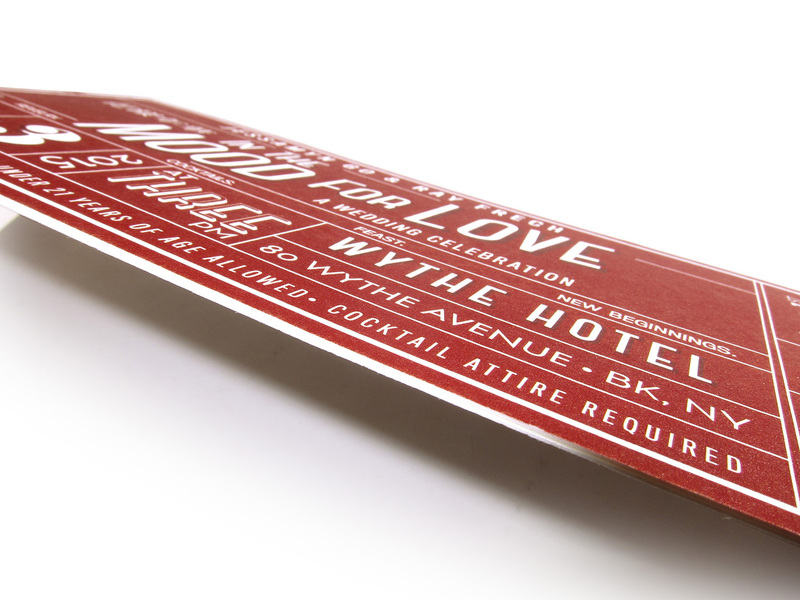 Drawing inspiration from both the film and the venue, Williamsburg’s Wythe Hotel, the look of the invitation is retro but modern. The shape and look feels like a vintage movie or theater ticket. The large size and uncoated heavy weight paper had the feeling of being invited to an exclusive event, similar to the glamorous Oscars of the 1940s and 50s.